Approached through Thurso Bay, Scrabster Harbour in the district of Caithness is the sole commercial harbour on the north coast mainland. 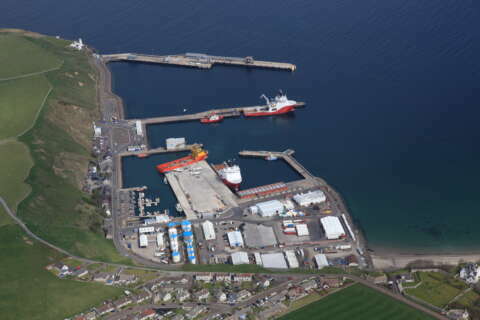 Scrabster is the closest mainland port for oil exploration and production on the Atlantic margin as well as for marine energy development in the Pentland Firth, delivering higher vessel utilisation, reduced downtime and lower costs. It is the main ferry port for Orkney Islands, commercial port - offshore O&G companies, major subsea and service contractors. 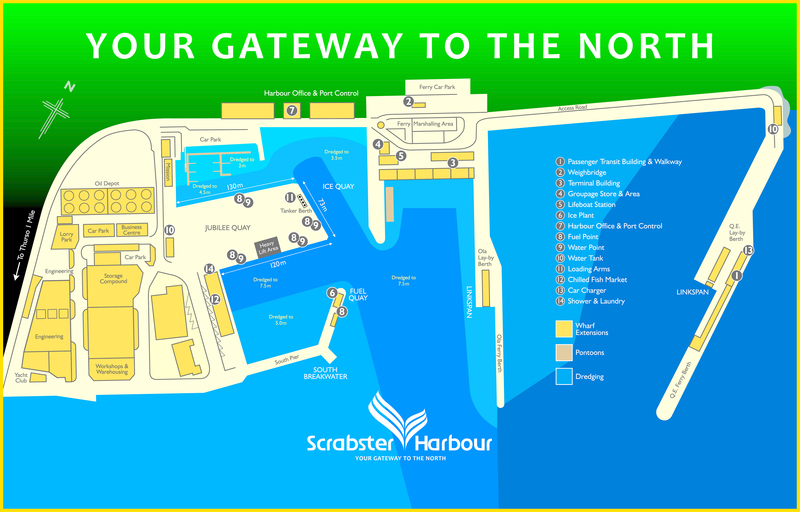 The Trust owns 32 acres of land at close proximity to the port, this area is classified an Enterpise Area by Scottish Government. Developing nearby land, additional deep water berthes for industry needs and further land reclamation to give additional port laydown and business space.